It’s no secret that I thrive when I have a routine. I also greatly resent my adulthood transition and often find myself missing the “don’t care, this is what I want to do today” mindset that I had when I was a child. However, I’m excited to announce that I’ve found a way to travel back in time!…If only for a few moments. But, you can do it every day if you put your mind to it! Back in July, I got a bit bored with my job seeking routine and decided to take a break. I was still hunting, just not as strongly as I had been during previous months. I started putting items first on my “to-do” list that didn’t really need to be done any sooner than the others. For example, I was taking long bike rides in the morning before checking my email. As I continued this pattern, I couldn’t help but notice how free I felt. Even though I’m accustomed to a strict schedule, I felt like I had control over my own life and my own decisions instead of the economy. And, as they say, all good things must come to an end. After about a month, I realized that I needed to get back into the game, but, I’ve certainly found a way to incorporate my newly discovered, free spirit into my daily life…but in smaller doses. With children, significant others, fulltime jobs, etc. it may seem like we can never give ourselves the attention to our wants that we truly deserve. My challenge to you is even if it’s just once a week or once a month, complete the item you WANT to do before moving on to your traditional TO-DO list. I’m obviously not suggesting that you select to give yourself a pedicure instead of feeding your children. This challenge could be as simple as meditating for five minutes BEFORE taking out the trash. Try it once. Put the things you love to do back on your “to-do” list. I’ve written a bit about it before, but my nutritional journey has been fairly similar to a lot of other individuals; some days, it looks like I’m on the right path, and others, I feel like a fat child who’s received free range at a local doughnut shop. My health has gone up and down over the years, but like many of you, I’m looking to get it back on track. As a child, I was raised with two grandmothers who made sweets…ALL.THE.TIME! Sweets are my downfall, but I know that it’s something I need to eliminate. Couple my love off sweets with my moderate exercise routine, and I was….an average sized child. As I got older, I quit a lot of the sports that I joined as a kid. One summer, I decided that TV was going to be my best friend, and I gained about 15-20 pounds…in three months! I stepped into the first day of the following school year unrecognizable. And, ever since that summer, it’s been a struggle for me to lose any weight…and keep it off! But, I found myself on an exercise kick years later and managed to lose about 30 pounds and shed some inches! I felt good, but not skinny enough. As I strived to keep losing, my body shut down and I was diagnosed with chronic fatigue syndrome. I was constantly going that I had forgotten to get proper sleep. And finally, it had caught up with me. Once I was diagnosed, it was hard to bounce back. No matter how much sleep I got, I was still tired the next day. I was doing yoga almost every day, but I was losing my results; my muscle was slowly turning back into fat. Finally, after what seemed like forever, I joined a zumba class and started to get my body working again. And, recently, I’ve joined Team BeachBody as a coach and have completed programs like the 21 Day Fix, Rockin’ Body, and Hip Hop Abs in order to get myself back on track. I’ve started drinking a protein shake that helps cut cravings, and I’m reading a great book by Maria Menounos, “The Everygirl’s Guide to Diet and Fitness,” which has workout tips, nutritional information, and a plan to help you live a more active life. While all of this wonderful information is coming in, I keep hitting brick walls and getting flustered. It’s hard for me to resist sweets and my favorite restaurants. I was reminded of how important my health is this week when I came down with a terrible cold. I still haven’t bounced back, but it’s making me refer back to my old ways. I’m not exercising as much as I should be, and I’m eating with more of a carefree attitude. That’s definitely NOT a part of the plan! So, what can you do if you constantly feel like you’re hitting a brick wall like me? Going back and forth, not being able to truly commit to something is the worst. I’ll share with you a trick from Maria Menounos. At first, enjoy what you want, but start cutting back you’re food intake and moving more. It’s simple! Say you typically have 8 slices of pizza for dinner, try eating only 7 and then have a side salad. Week by week, cut back a bit more and make that salad bigger, and soon you will be eating 1 or 0 slices of pizza and enjoying the salad! Second tip: move more! Instead of taking the elevator, take the stairs. Instead of parking close to the store, park further away in the parking lot. By making small changes today, you can create healthier habits that last a lifetime! Make goals for yourself, start a food journal. See what you’re eating and what you’re doing every day, and think about how you can improve. For me, I eat peanut butter daily. So, one day, I said to myself, “Let’s see if I can go the whole day without peanut butter.” And, when I accomplished that, I tried two days, three, four, five. Before I knew it, I had gone ten days without peanut butter. Simple, small cut backs and additions can get you back on track. Have a happy and healthy life! And remember, we’re in this together! I’m having another dilemma and could use all of your wonderful advice and experience to guide me through! As some of you may know, I’ve been unemployed for close to five months now and I’m constantly searching for another full time opportunity. Recently, I had an interview with a great organization that has a job title similar to what I’m looking for and the capabilities to train, support, and help me grow! However, the pay is terrible, the insurance benefits are non-existent, and it’s located in a place I’ve never been to (other than for the interview), and is 2.5 hours away from everyone I love and care about. With that being said, let me paint you a better picture…. I have a few strong passions in life: music, animals, writing, and the arts. Over the past couple of months, I’ve tried to figure out what I really want out of a career and what would make me happy. I’m a fairly eccentric person (as you all know), but when it comes to my life style, I’m very old fashioned and thrive on following a routine and have strong family values. But, since I was young, I’ve always wanted to be some sort of famous (hopefully for a good thing). And with my passion for entertaining and music, I thought being a radio DJ might be a great career. However, it’s an extremely difficult industry to get into and very cut-throat. Owners of stations are always changing and individuals are losing jobs left and right. Most of the time, you’re really not free with what you want to do, and have to follow a set format. But, what a thrill it could be! Currently, I host a show on a college radio station every week and I enjoy it because I’m allowed to play and say whatever I want (as long as I don’t break FCC guidelines). This new opportunity would allow me to get my foot in the door and I would be a real DJ trained on real equipment! However, current DJ’s and station owners that I’ve talked to have stated that the radio industry has definitely died down over the years and it’s 10 times more competitive. So, it leaves me to wonder, if I’m offered this position, do I take it and leave everything I love for the chance to join an industry that I’m curious to be a part of, or, do I take/search for a position that involves one of my other passions (the arts, animals, etc) and provides better pay, and keep my show on a college radio station and grow that following and my skills there? It’s never easy making a crazy life decision, but I know that my choice will impact more than just me (no matter what one I make). If I look at my core values, I realize that being with my family, having time for myself, and doing hobbies/activities that I love come first before any career that I could possibly dream of. But, it would be great if a passion/hobby of mine could turn into a career. At this point, I just want to hide underneath the covers and continue binge watching Chrisley Knows Best…but at some point I need to really examine my options and think about what’s best for not only myself, but the people I love. And, this is the part where you come in. Have you ever been faced with a situation where you were struggling to figure out if you should take a position that you were passionate about that provided some flaws or a position that you know you would do well in and receive benefits, but you might not be as thrilled about? 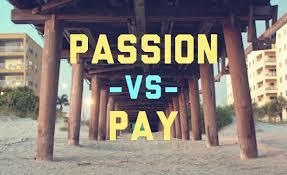 Please comment and share your stories regarding passion vs. paycheck! Thanks in advance! Are any of you contest junkies? I’m really not. But, sometimes I see a contest sponsored by a company that I really like, etc. and I feel COMPELLED to enter it, even though I’m 99.999% positive that I have absolutely no chance of winning. Recently, I entered a contest to win a trip to Italy with the guys from the hit MTV series, “The Buried Life.” If you’ve never seen the show, it’s completely inspirational and I highly recommend it. But, a brief overview is that there are four guys (Jonnie, Duncan, Ben, and Dave) who created a bucket list of 100 things they want to do before they die. And, every time they check something off of their bucket list, the help a stranger accomplish something that they’ve always wanted to do. The series was popular when I was in college and has since gone off the air, but the guys still continue to make dreams come true and help people. To enter the contest, you had to write the guys a letter explaining why you should be the individual who goes with them to Italy. I’ve included a copy of my letter below. Let me know what you think! What’s the craziest contest you’ve ever entered? 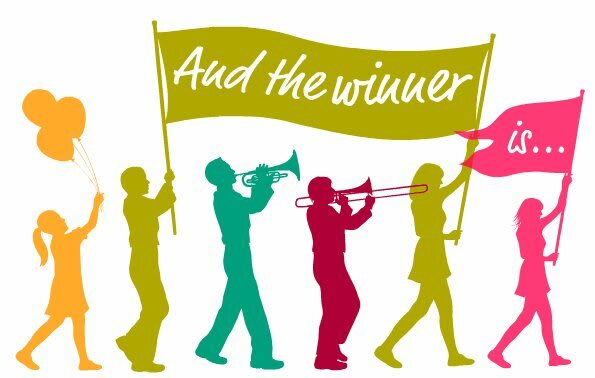 Did you win? By now, you’ve probably heard hundreds of thousands of reasons as to why specific individuals should go to Italy with you. And, there are hundreds of thousands of individuals who are probably more deserving than I am to join you on your trip. My whole life, I’ve been afraid to step outside of my comfort zone, try new things, and basically experience life. For as long as I can remember, I’ve taken the easy way, or the safe way, out. When I wanted to move out to California for college and study theatre, my father suggested I stay at a state school and study communications so that “I’d have an actual chance at getting a job” post graduation. There are even a number of “normal” foods out there that I’ve never tried because I don’t feel like breaking away from the PB&J I eat every day. After graduating from a local college, I took a job at a corporate office where the work was meaningless, but I got paid a lot! I quickly learned that many Americans take jobs that they’re not truly happy with because of bills, the location, etc. And, I quickly began to reflect on my own life and realized that I had been having the same experiences over and over again because I was comfortable with routine and security. Needless to say, after seven months on the job, I was let go because my boss didn’t believe that I was “committed” to the position. Now, I’m back at square one, looking for my next opportunity. And this time, I don’t want to hold back. This time, I’m looking for a crazy adventure. And this time, I want to go after what I want and be a part of something that I really want to do! Would you like to be the first step in helping me start my crazy life journey?